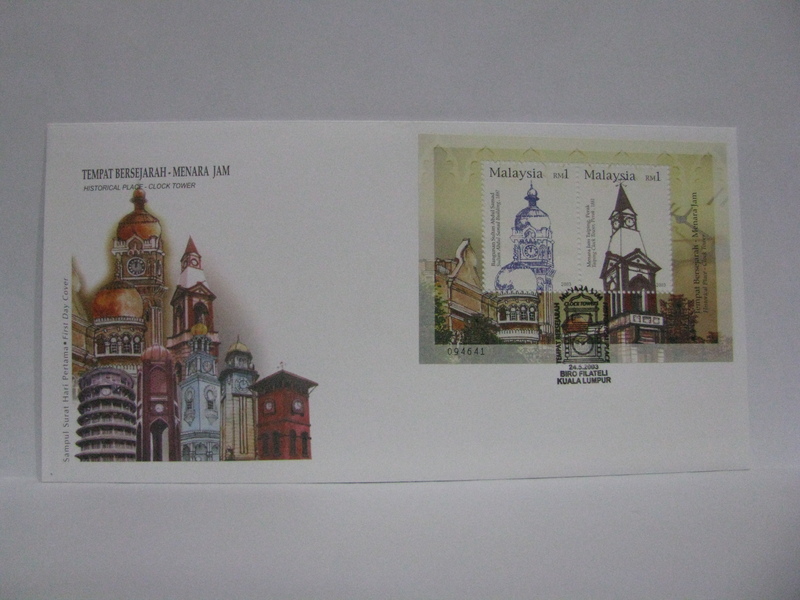 This FDC was cancelled in Gurun, Kedah. 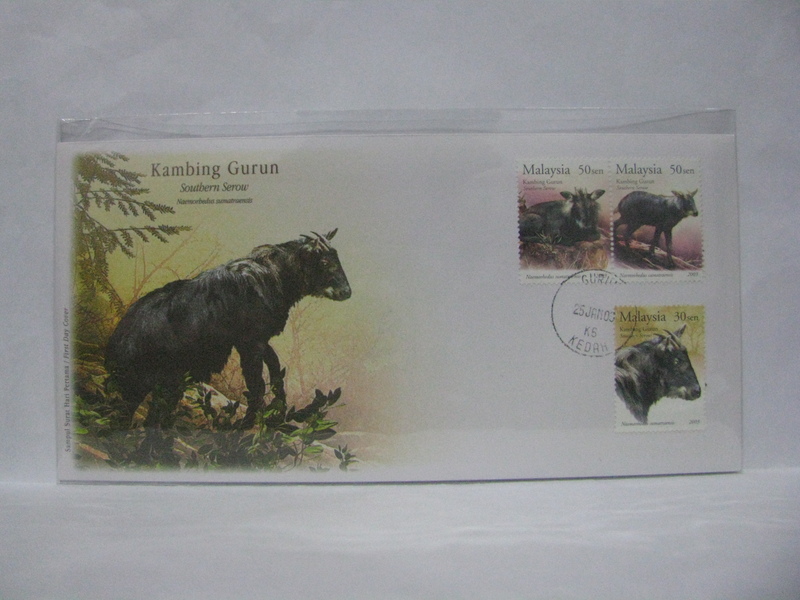 Southern Serow is called Kambing Gurun in Malay language. 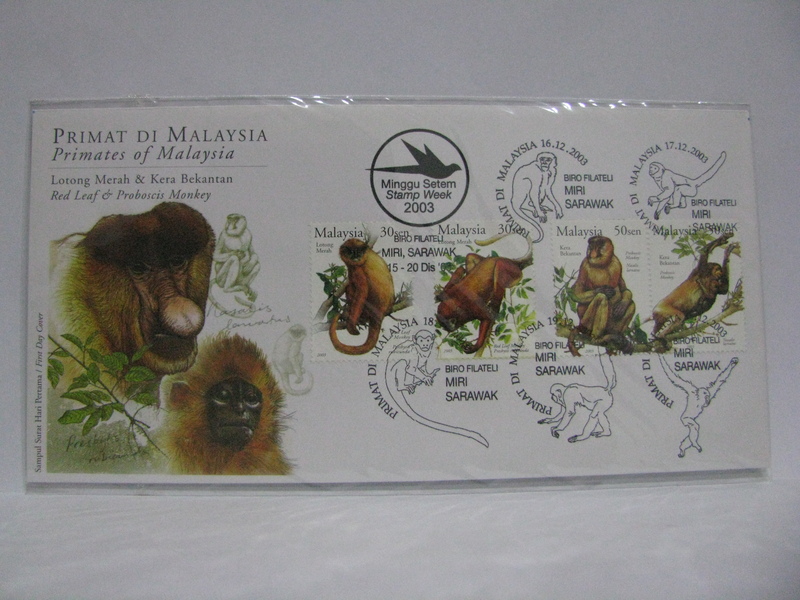 This FDC was cancelled in Brinchang. 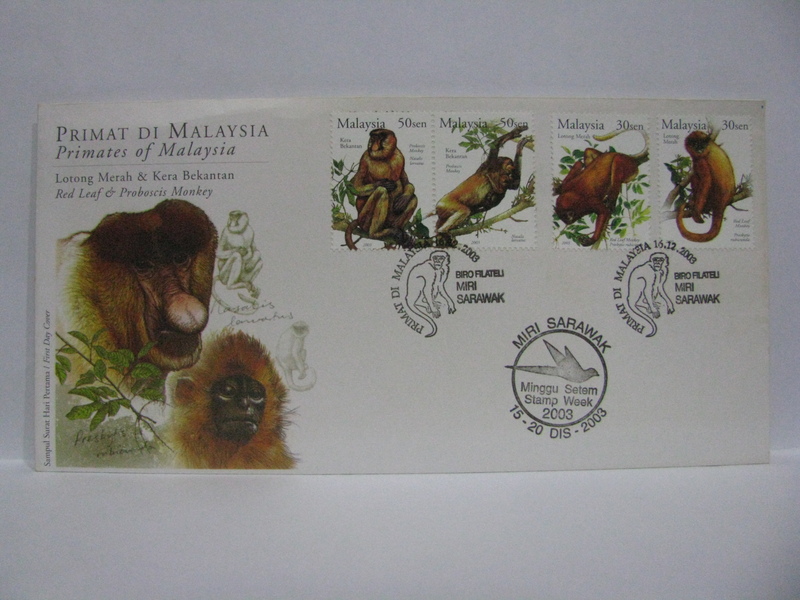 This MS FDC was cancelled in Tanah Rata. 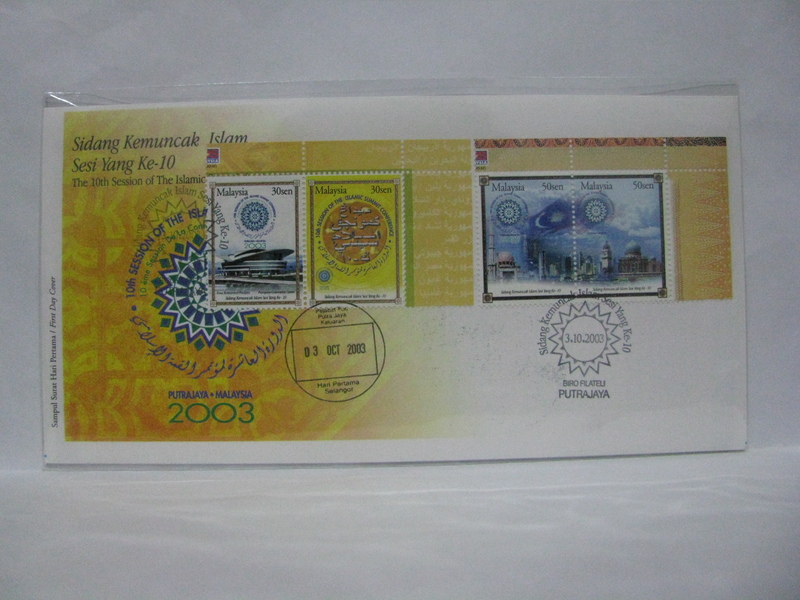 These FDCs were cancelled in Kuala Lumpur with an additional Jln. 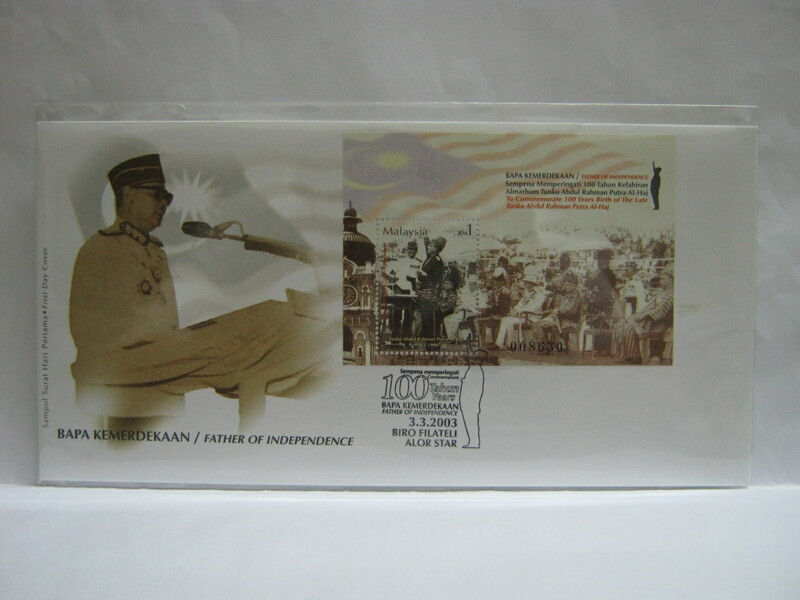 (Jalan) T. A. Rahman. 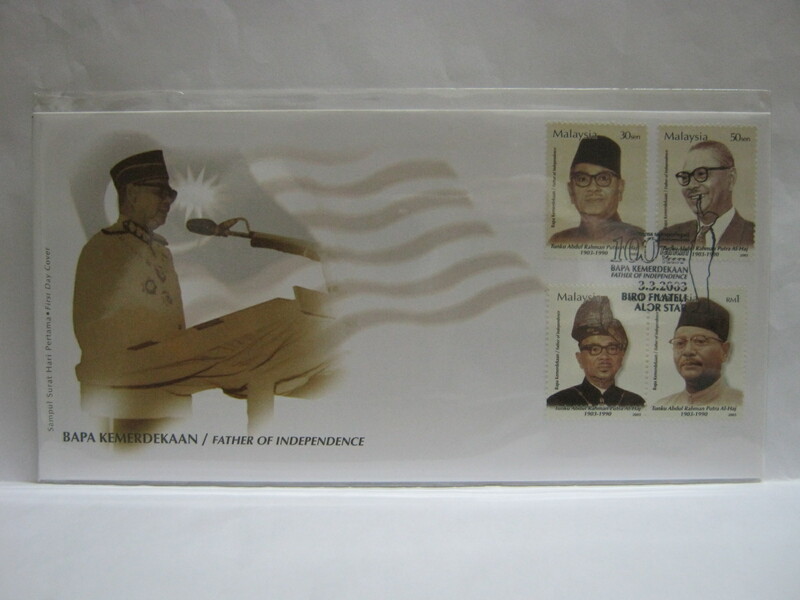 This additional cancellation is actually a mistake as T. A. Rahman actually refers to Tuanku Abdul Rahman, the Yang Di-Pertuan Agong during Independence. 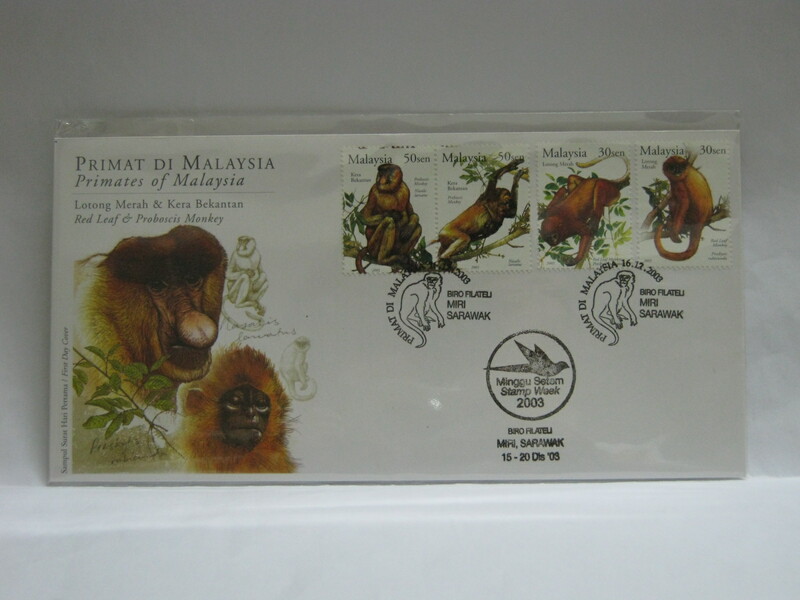 I thought it was pretty interesting to include these covers. 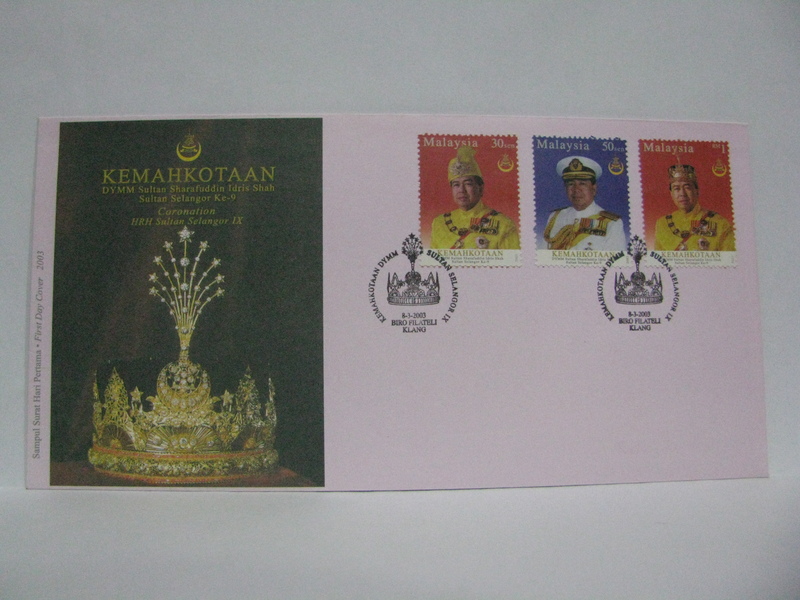 Here are the FDCs cancelled in Alor Setar. 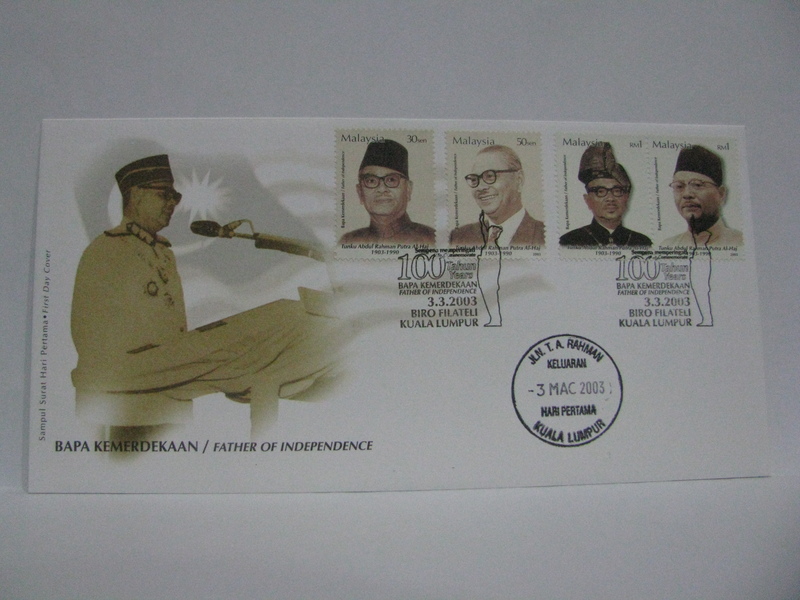 These FDCs were cancelled in Klang. 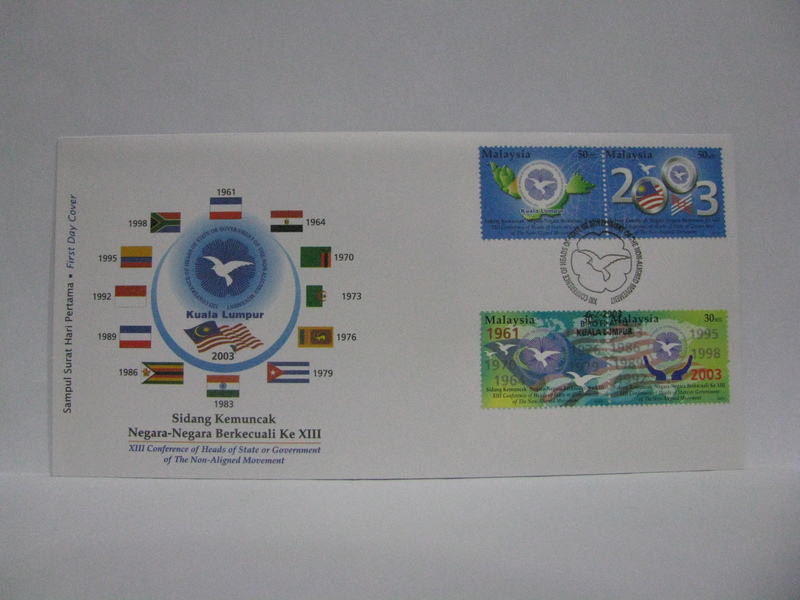 Normal sheet stamps on FDC. 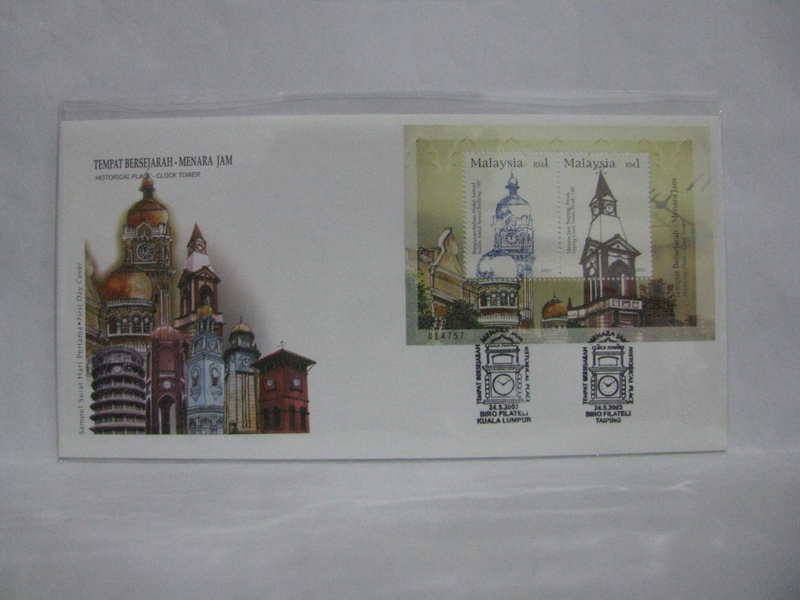 Here is a FDC cancelled in Melaka, Pulau Pinang, Sungai Petani, Teluk Intan and Bintulu corresponding to the clock towers on the cover. 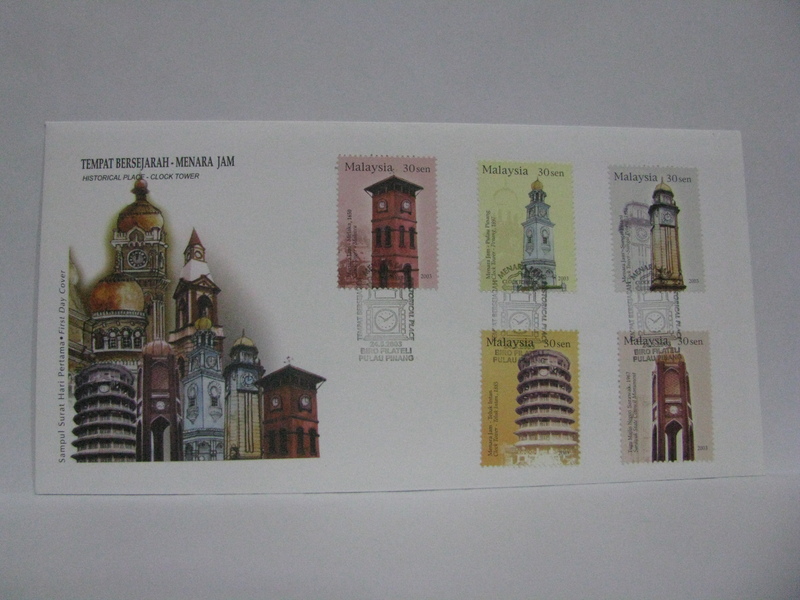 This FDC was cancelled in both Kuala Lumpur and Taiping. 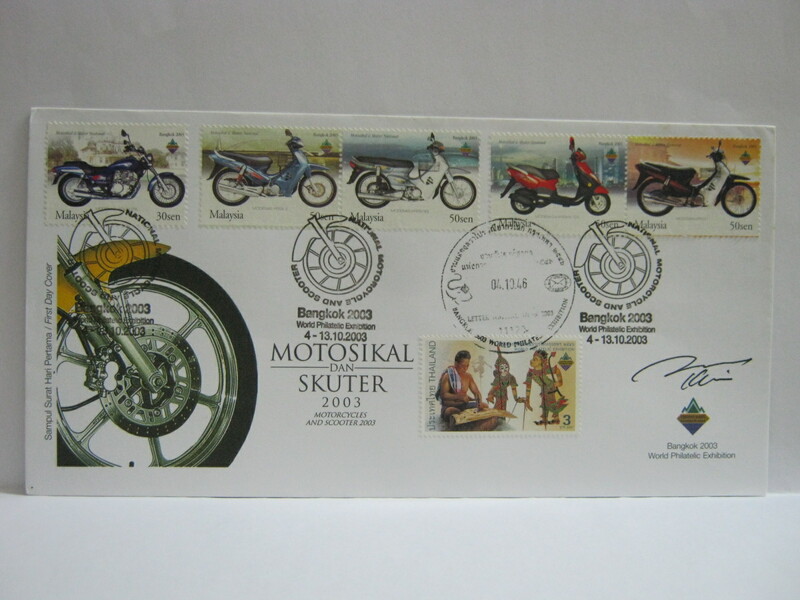 These FDCs were cancelled in Kota Kinabalu. 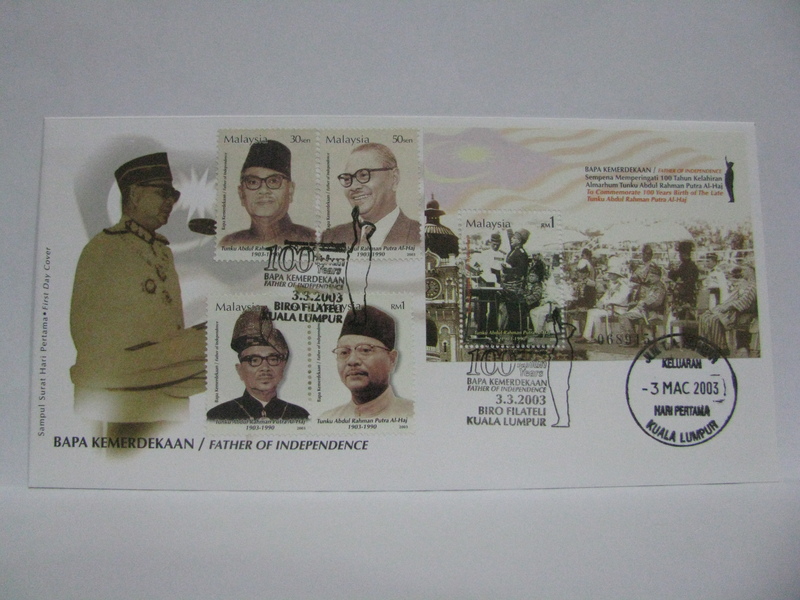 These FDCs were cancelled in Tawau and Semporna. 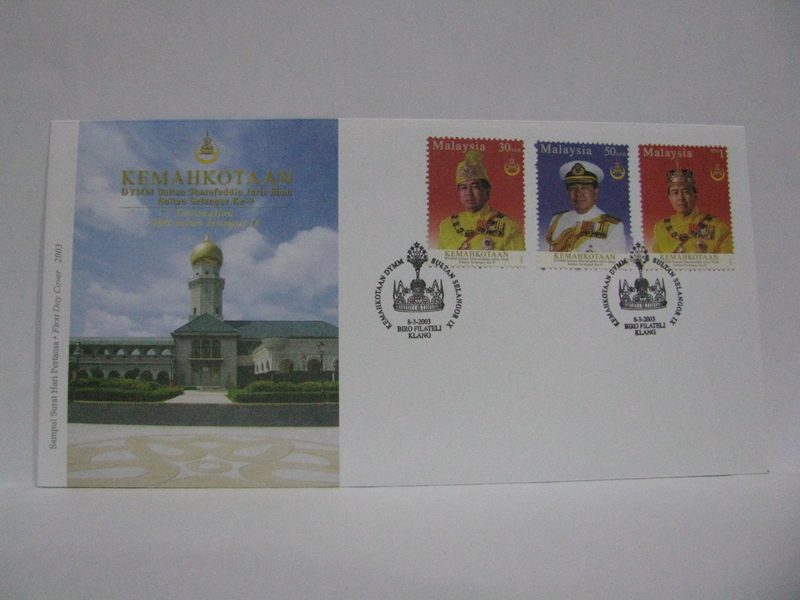 This FDC was cancelled in Gurun and autographed by the designer, Mr KY Lim. 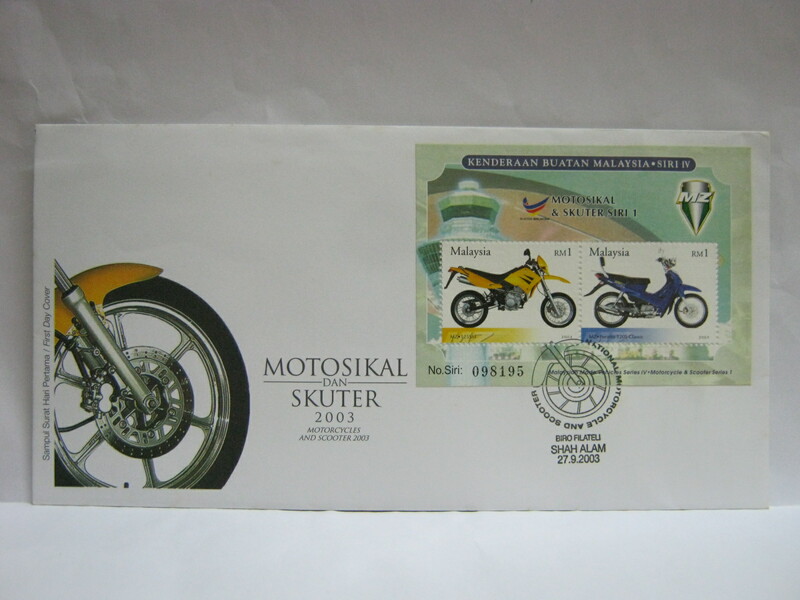 This MS FDC was cancelled in Sungai Buloh. 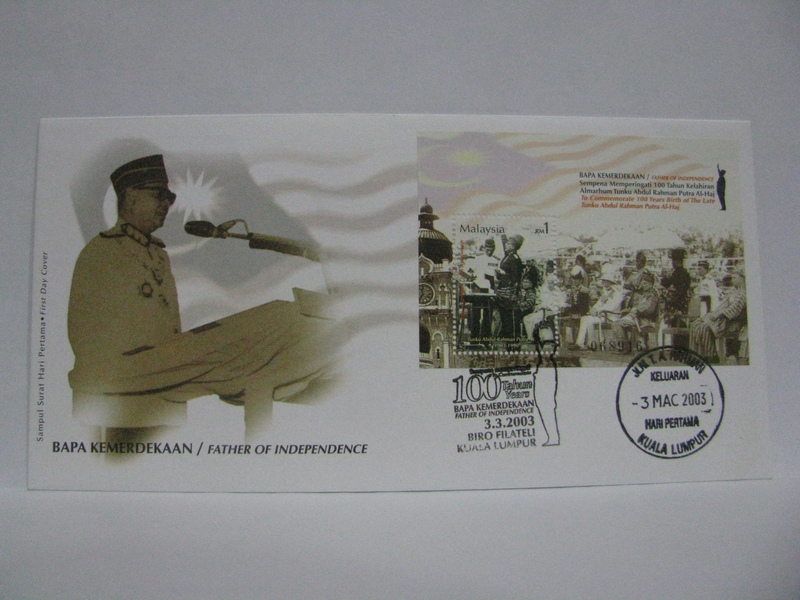 This MS FDC was cancelled in Shah Alam. 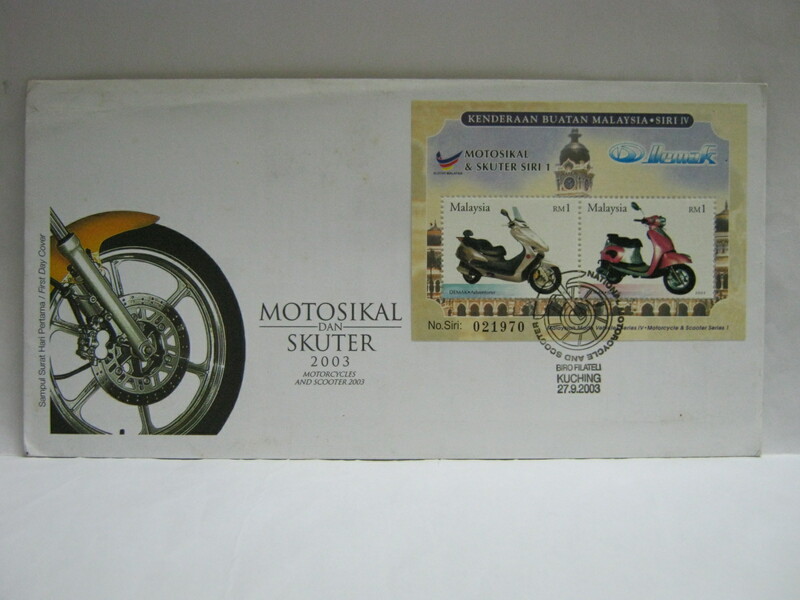 This MS FDC was cancelled in Johor Bahru. 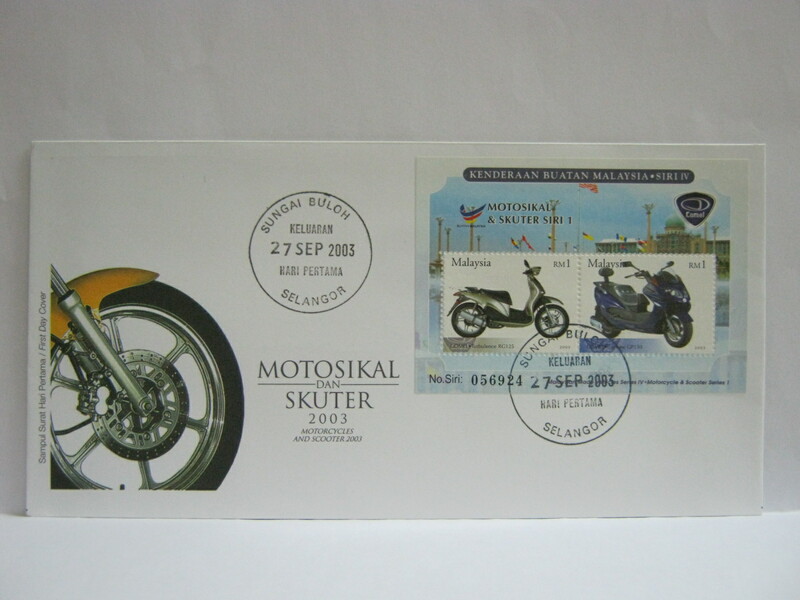 This MS FDC was cancelled in Kuching. 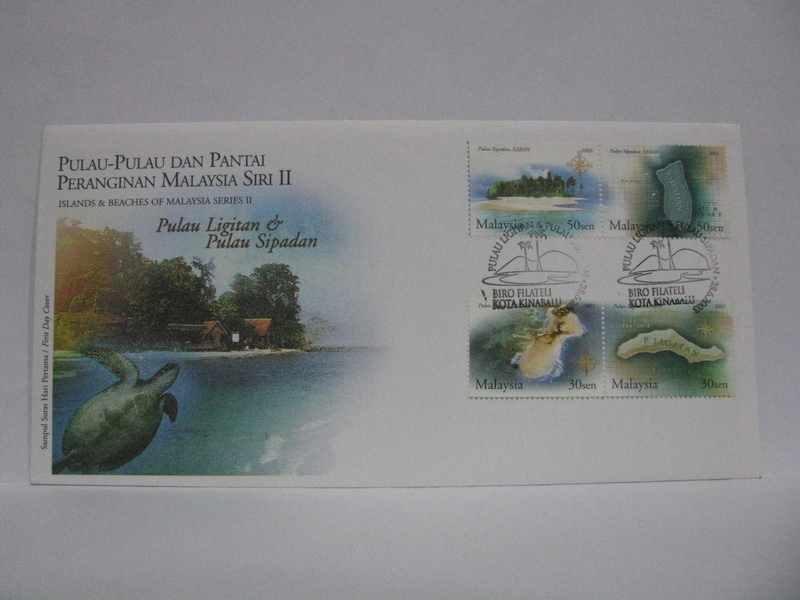 This FDC was cancelled in Putrajaya with Kuala Lumpur and Putra Trade Centre cancellations at the back along with the Kuala Lumpur Stamp Show 2003 cachet. 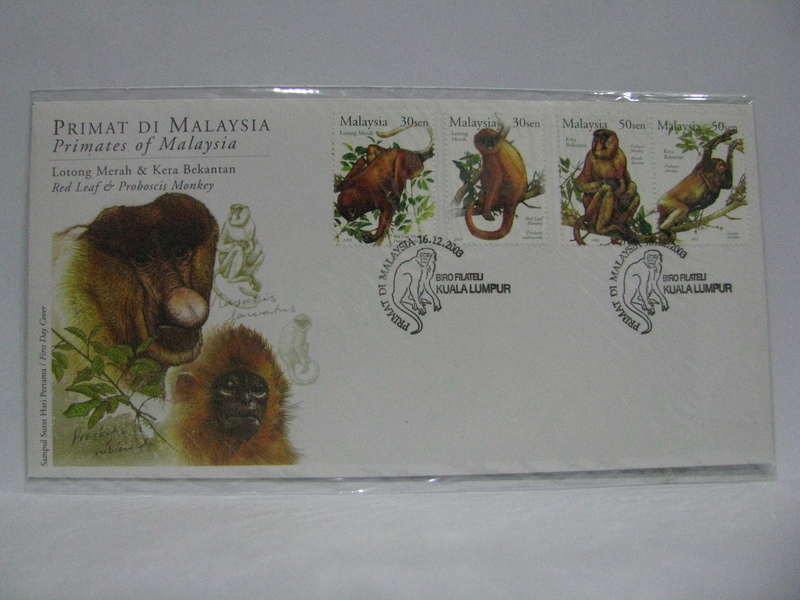 The Kuala Lumpur Stamp Show 2003 was held in Putra World Trade Centre. 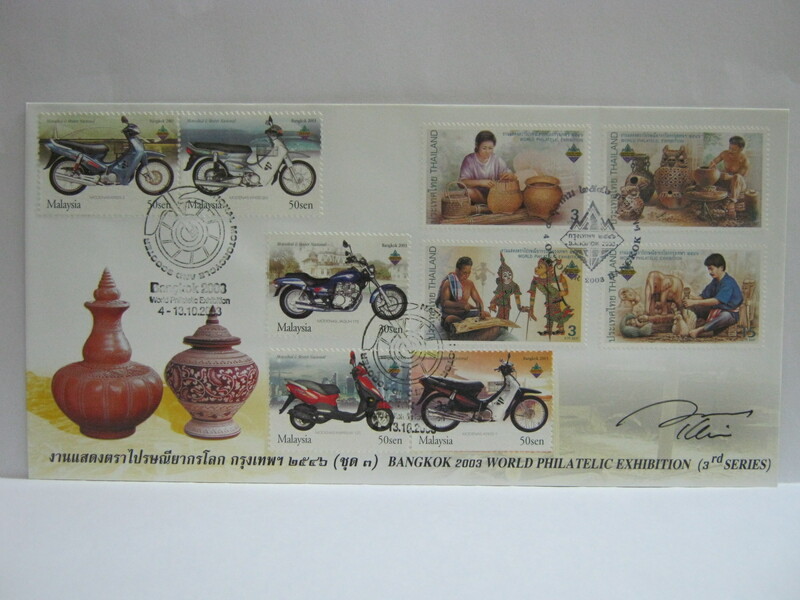 This FDC was cancelled with the Bangkok 2003 exhibition cachet. 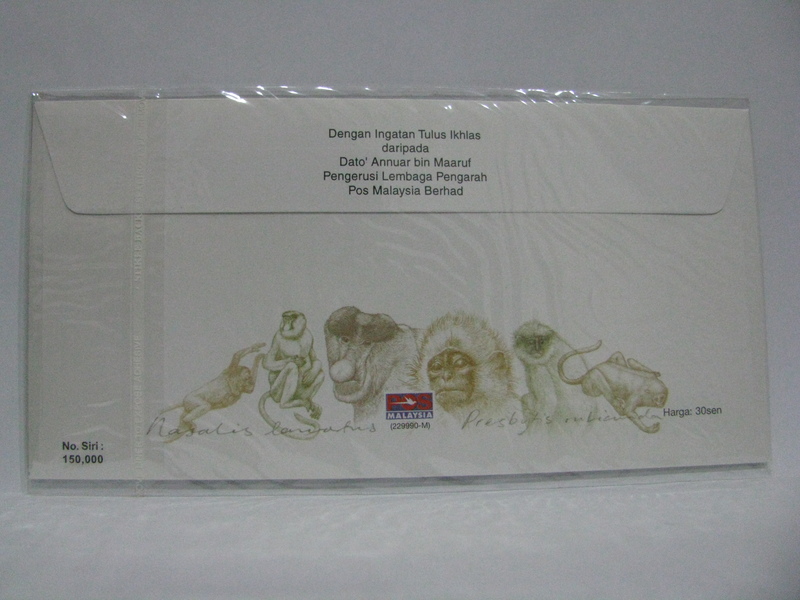 This cover was cancelled with the cachet along with the Bangkok first day of exhibition cancellation and autographed by the designer, Mr KY Lim. 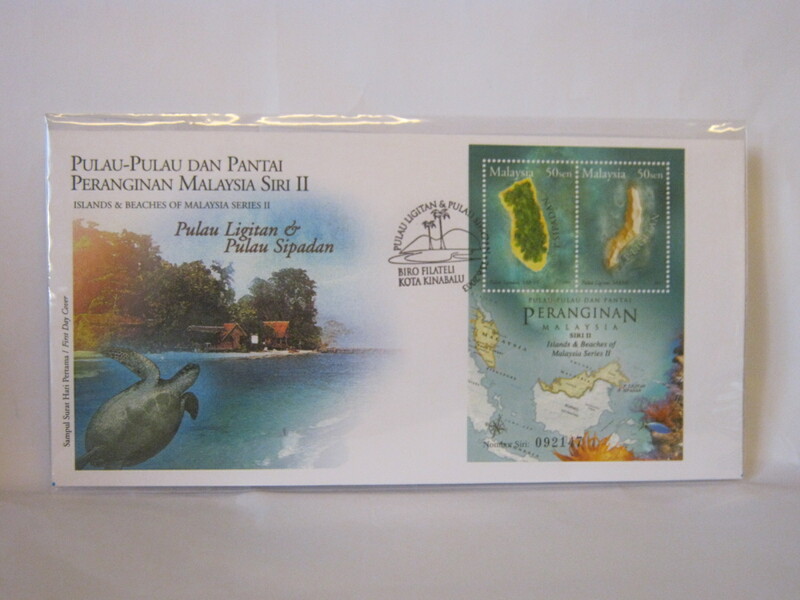 This is the Thailand Post FDC affixed with Malaysia exhibition overprint stamps and cancelled with the exhibition cachet. 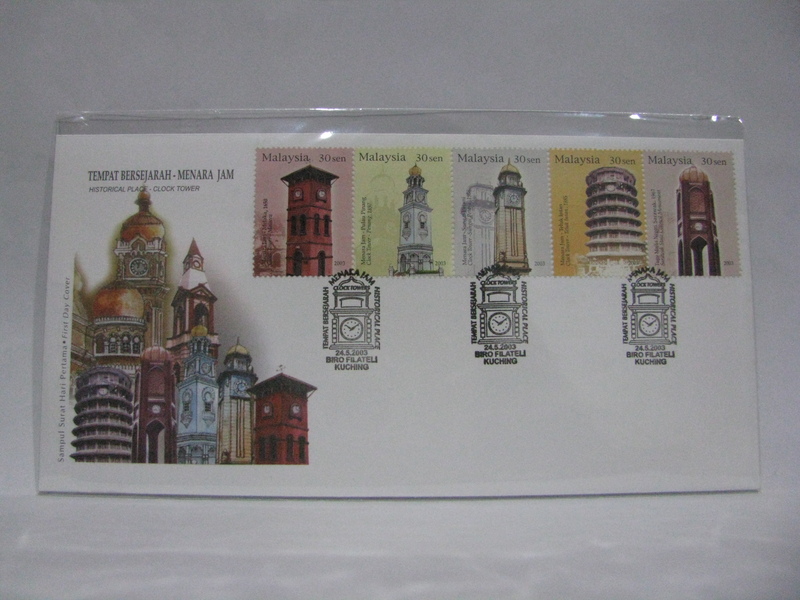 It is also autographed by the Malaysia stamps designer, Mr KY Lim. 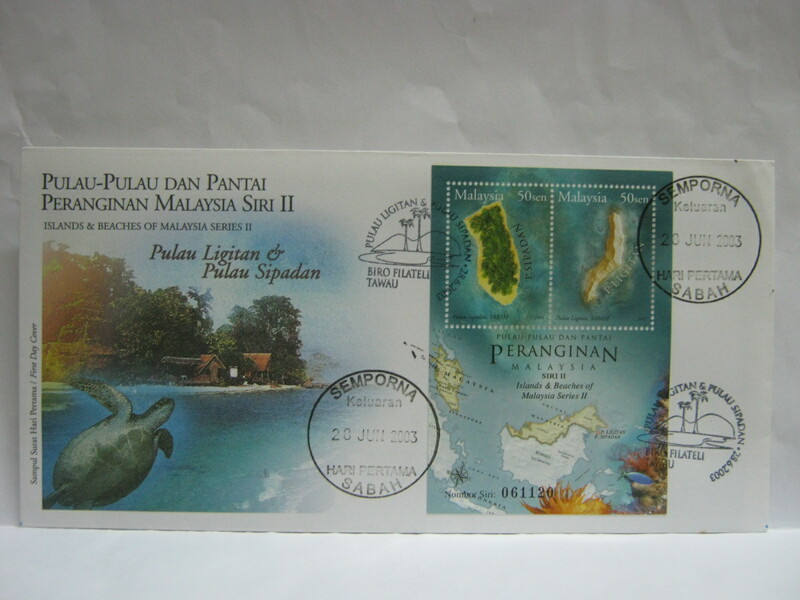 This FDC was supposed to be cancelled in Miri. 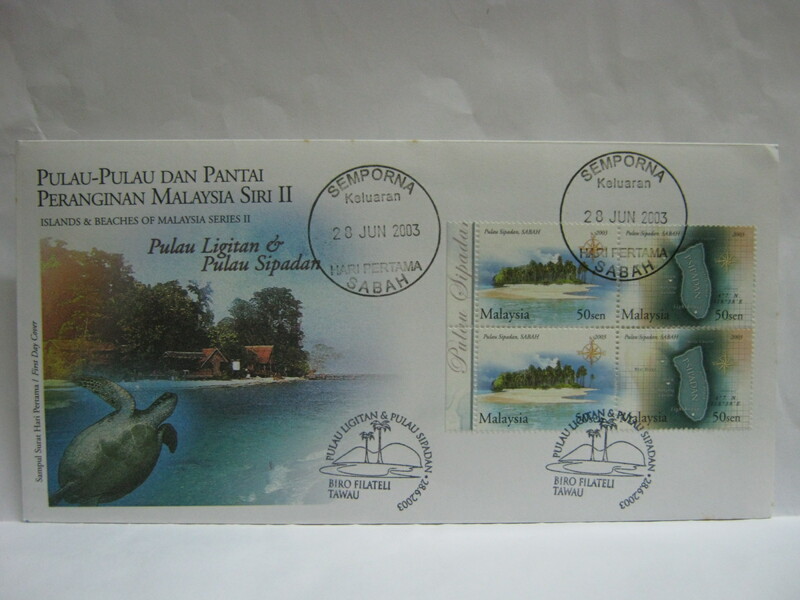 On closer inspection, I believe that the cancellation is an inkjet. 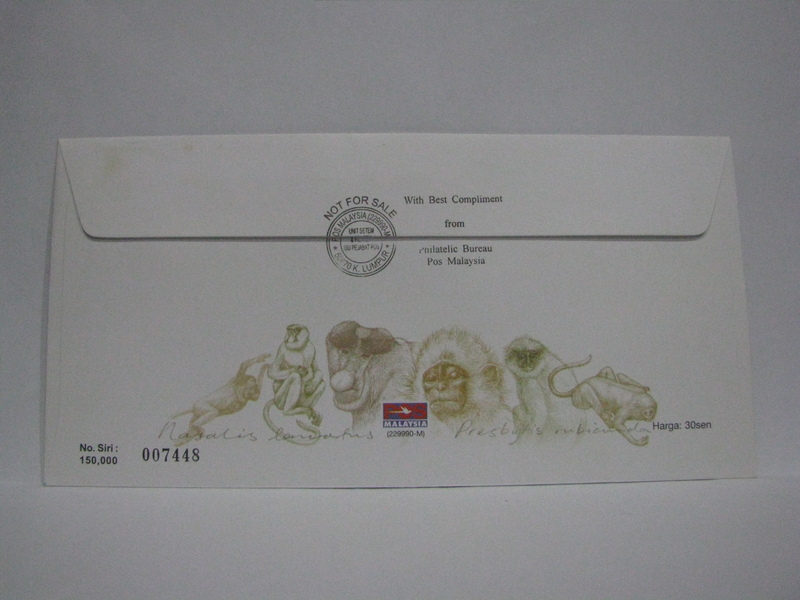 This is probably a fake FDC made to the likeness of the Stamp Week cancellations. 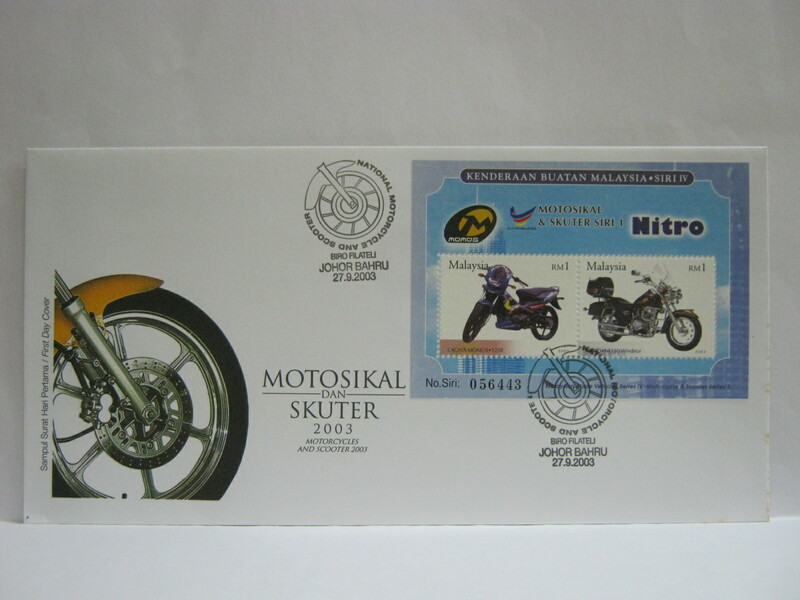 I acquired this in the open market. 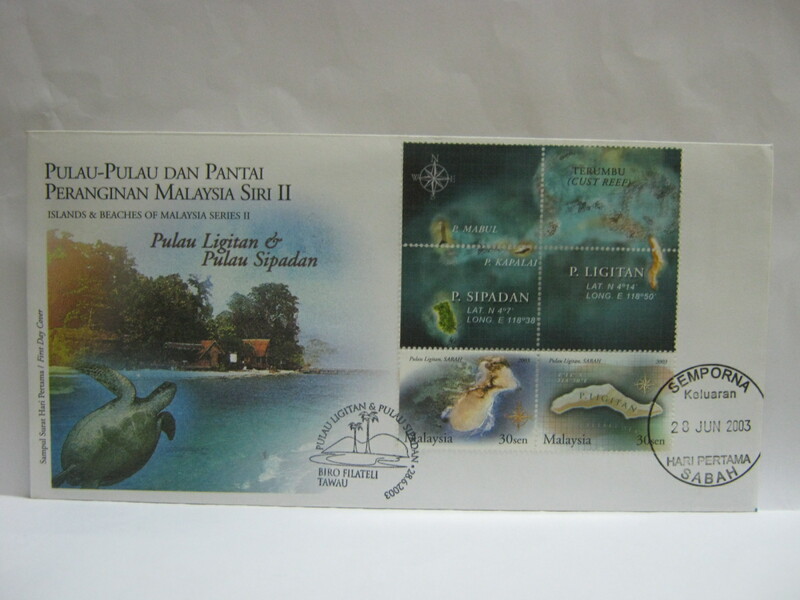 These are the real deals cancelled in Miri along with the Stamp Week cachet. 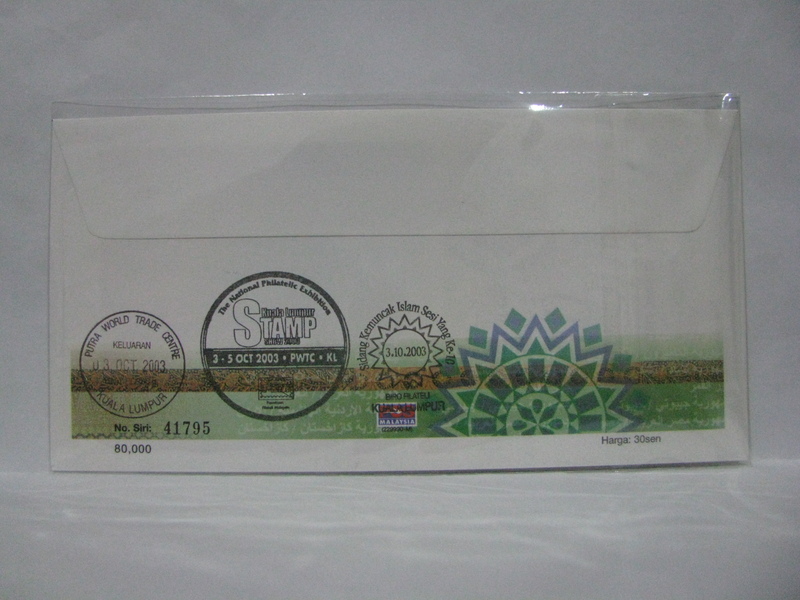 I do not have information on the 2 types of cachet. Anyone can share on the difference? 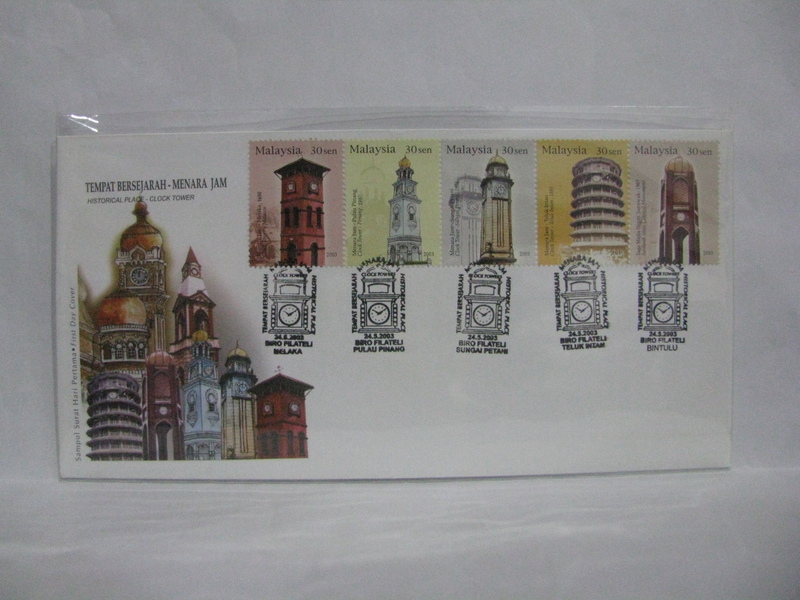 This is a complimentary FDC cancelled in Kuala Lumpur. 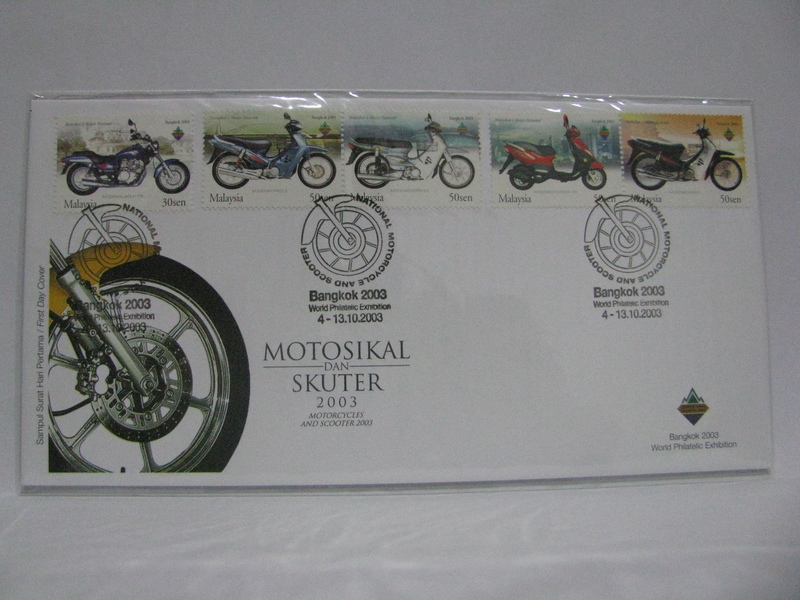 It was given out to VIPs, media and for competitions organised by Pos Malaysia. 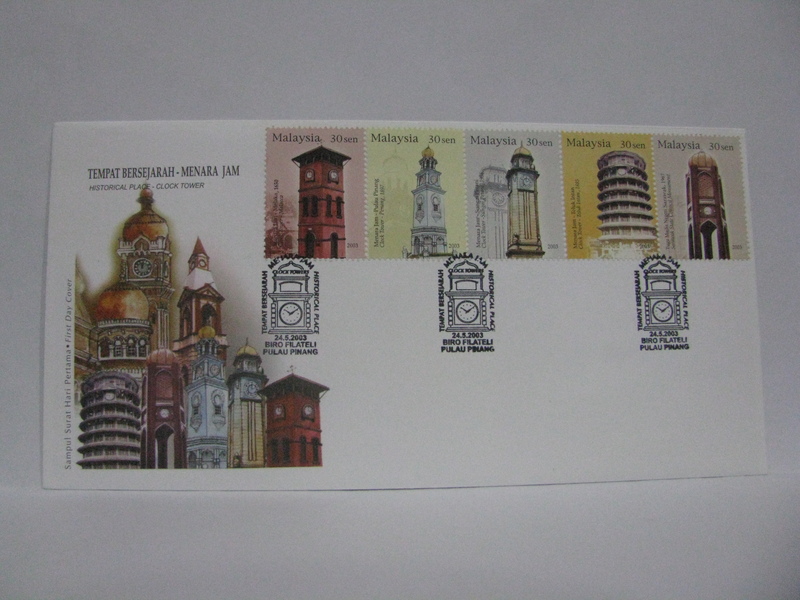 Here is another version of the complimentary FDC. 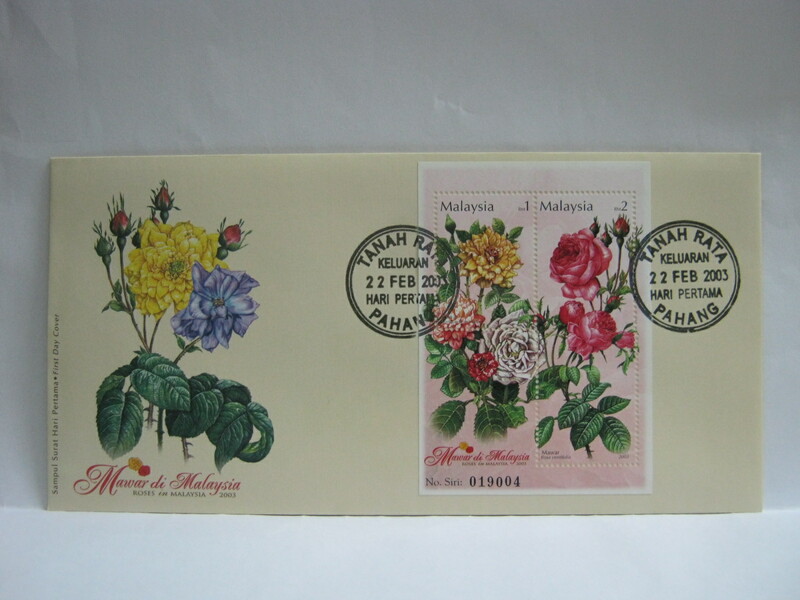 Yes there was the Roses Series 1. 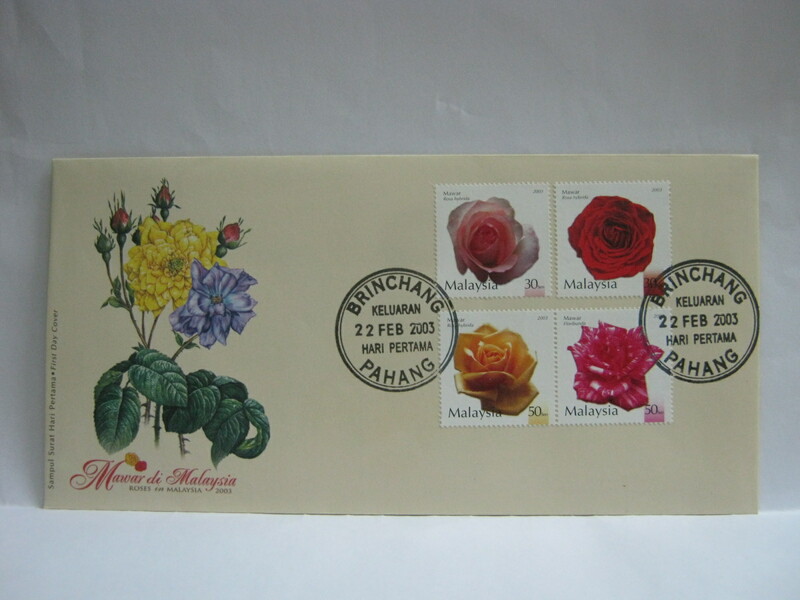 I did not have time to make Brinchang cancellation. 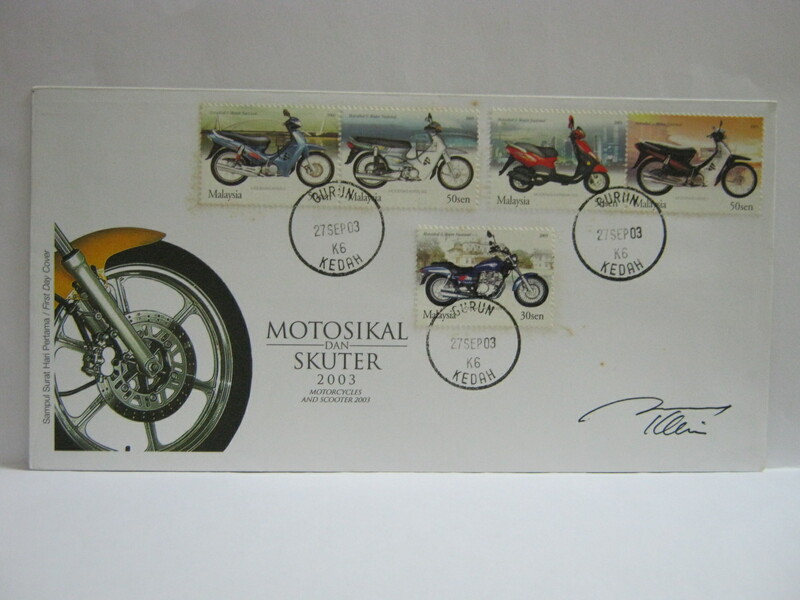 I only put up pictures of concordant cancellations and not all FDCs.